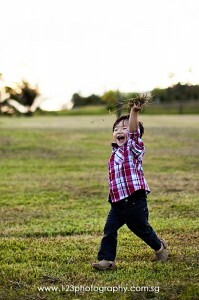 Children photography is no easy task. Some children have short attention span while some children are camera-shy. Some children can barely sit still under the heavy lights. It is even harder to make children do what you have in mind. The truth is, being a photographer especially for children requires a certain kind of talent and patience that not everybody possesses. The most important thing to remember with children photography is that you must get to know your model. Talk to them about their hobbies and interests. Make eye contact. Be genuinely interested, not patronizing. Listen to them as closely as possible. Treat them as equals. The kids will open up to you, ensuring that you will get some natural expressions in your camera. Children always know if someone is just pretending to like them, so be as sincere as possible. During the shoot, keep your set up simple and neat. A one-light set up is enough in most situations. You wouldn’t want the children running around tripping over your softbox and lightstands. For a more natural approach, it is recommended to just make use of ambient light. If the space you are working on has light filtering through the windows, skip the softbox and go natural! Allow the kids to choose from a variety of props or toys. This will give you some insight on their personalities, as well as give them the freedom to choose whatever they want. When taking the photos, take occasional breaks. Put the camera down to smile or listen to the kid. If they say they are tired, let them sit for a while. If they want to play, give them the go signal. Kids love being able to do what they want. If you restrict them, they will get mad or fussy. It might be difficult if the children don’t listen to you, but it is up to you as the photographer to compromise. If they aren’t facing the right light, you have to learn to adjust yourself or, in some cases, improvise. Walk around and discover the child’s best angle. 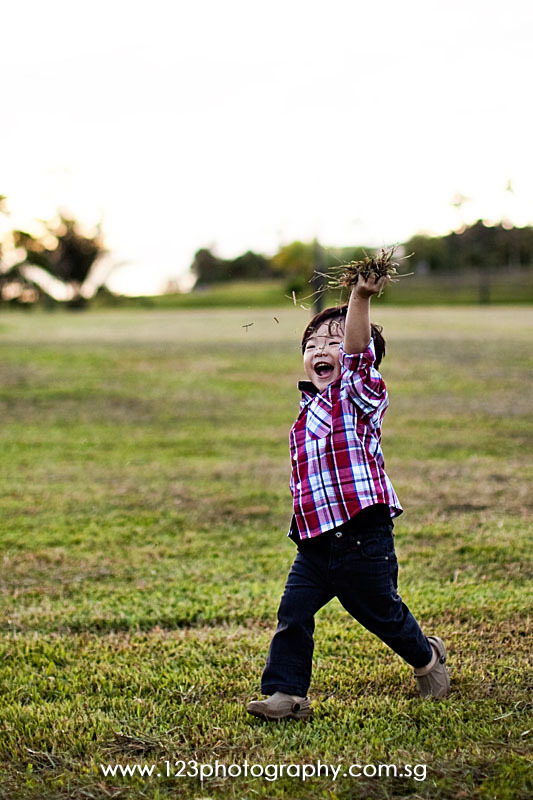 Be sure to get the kid’s innocence and mood in your photograph. When you can capture a child’s genuine emotion in your photos, then you can say that you are finally a good children photographer. Children photography is not an easy art, yet both rewarding and exciting. You will find that every photo is special on its own.